← Love Those Halloween Colors! Back To Basics. What Is This All About? I’ve been talking a lot about Back-to-Basics, Holistic Colors and Healing Colors. I also noticed a buzz across the social media platforms about going Back-to-Basics. People are asking and wondering what Back-to-Basics is all about. If there is a buzz about anything, that means that people are looking and searching for it. 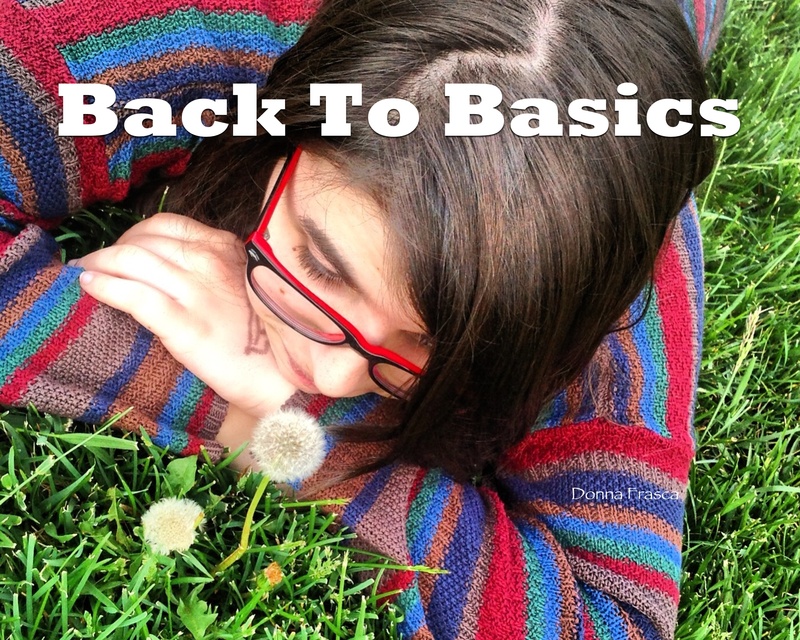 So what is Back-to-Basics? Well lets talk about it and I’ll explain how I feel home decor will be or should be, swinging in that direction. Let’s first talk about what Back-to-Basics is all about. On one hand I’d love to say “Well in a nutshell … ” but it’s just such a big topic and covers a lot of ground. However for today, I’ll do just that – give you the “nutshell” version and go into depth as my posts go on. Color can be complicated. It’s much easier for me to show you what I mean. Here are a few pictures I took from my recent trip to IKEA. FABRIC. 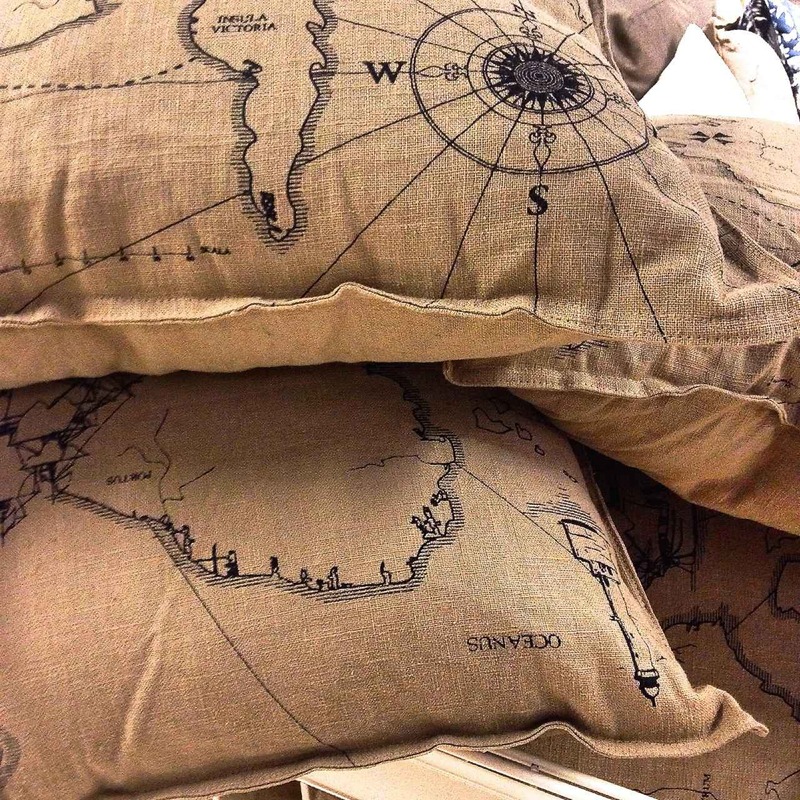 Here I took a picture of some pillows that caught my eye. 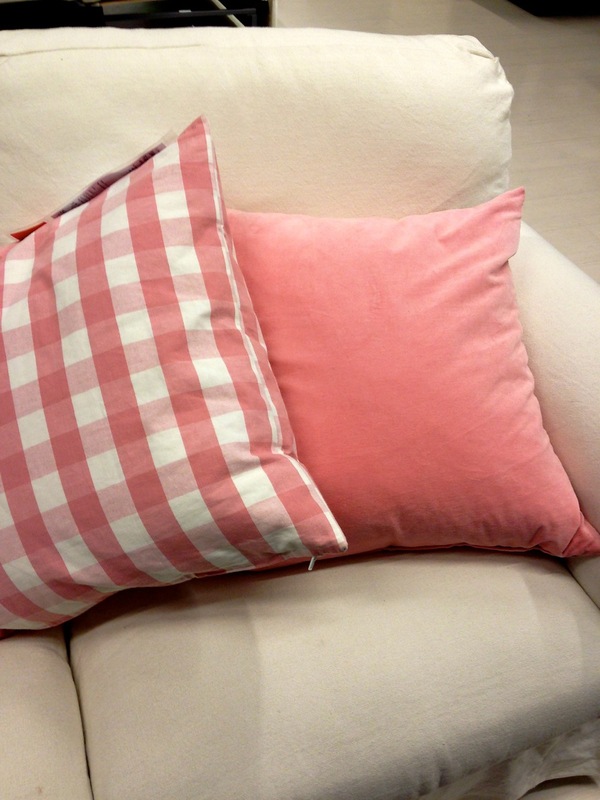 There is really nothing fancy about these pillows and kind of basic don’t you think? Well there’s that word “Basic”. It is a fabric that looks almost like burlap and it as a very earthy color palette. You can’t really get more basic than that. This a good, straightforward, unadorned pillow. It doesn’t have any fancy trim, buttons, shimmer, color or bling that is just not necessary. Doesn’t it feel good to just trim down on the fancy stuff? I think it does. EMBROIDERY. Now Basic doesn’t have to be boring. 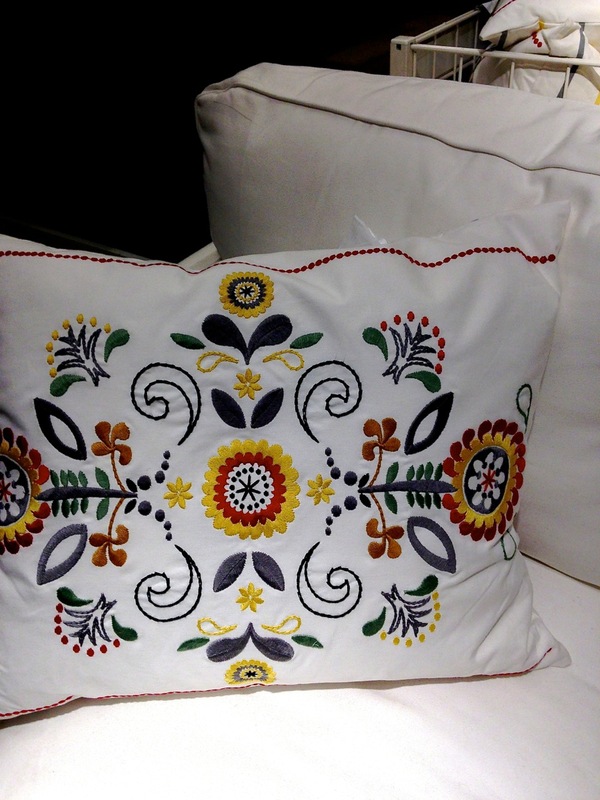 Here’s another IKEA pillow that looks like it’s been hand embroidered. Of course it’s not done by hand but you may have one in your home that you’ve made. This is another nice element of the “Basic” concept. Think back to when you used to visit Grandma and how nice her home looked. Bet she had some hand embroidered pillow or tablecloths right? Right. I’m not saying to use dated decor but use decor that brings back a nice memory or that someone has made for you. TEXTURE. Texture is a great element to bring into the home. 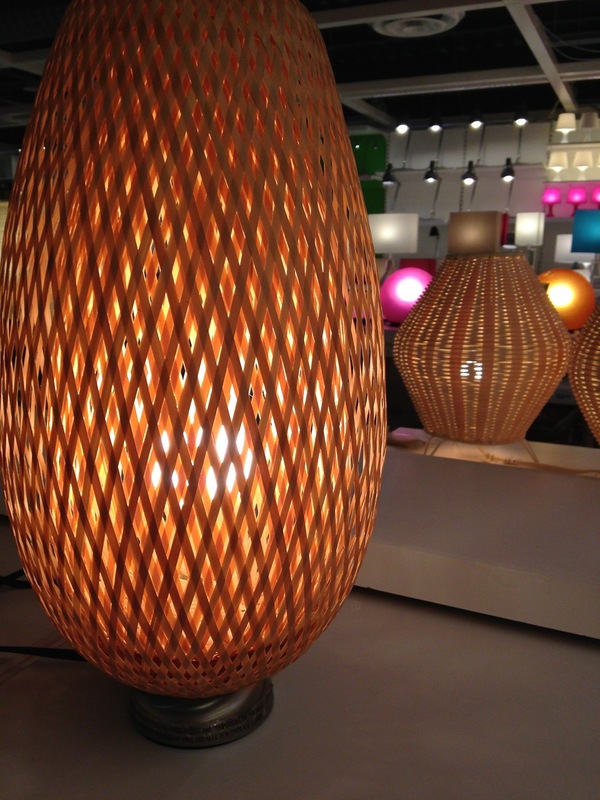 Just like the burlap pillow above, this IKEA lamp has a really nice texture. Not only is it a nice sensation to touch but it’s a really cool visual as well. NATURE. Nothing says Back-to-Basics like bringing Mother Nature into the home. After all, she started it. 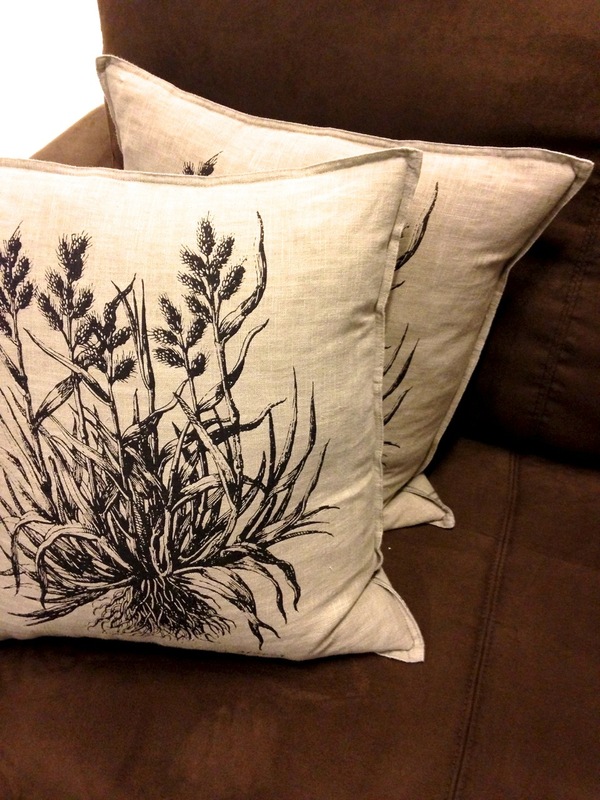 Here’s another great pillow that has a natural looking fabric with some type of field flowers on it. Very simple, very class and yes, very basic and it works. COLOR. Now again Basic doesn’t mean boring and just earth tones. You can bring in color but keep it natural looking. If you don’t find it naturally or abundant in Nature then it’s not a natural color. This pink can be found in everything from sunsets to flowers. Keep it light, soft and slightly muted. Here are some color palettes that I would consider to capture the Back-to-Basics look. They do have an earthy feel but aren’t considered dated earth tones. They can contain some saturated color but it has to be the right color. Yellow is a great choice as seen in the bedding graphic. So are you starting to follow what the BACK-TO-BASICS is all about? Keep checking back here because I’ll be going into more detail with each blog post. This entry was posted in Holistic Colors and tagged back to basics. Bookmark the permalink. 10 Responses to Back To Basics. What Is This All About? I’ve really been enjoying your quick colour tips. Can’t wait for more! Thank you for the explanation. It makes sense and you have some great examples visually.